Late last summer, I reviewed an amazing book called THE LANGUAGE OF FLOWERS by Vanessa Diffenbaugh. This novel was creating quite the buzz at last year's BEA, and I can totally see why. It's fantastic and perfect for book clubs! Just last week, THE LANGUAGE OF FLOWERS was released in paperback (and I think I like the cover even more than the original one!) Random House is extremely excited about this novel (as they should be!) and they've created some exciting supplemental material. In addition to the reader's guide, they have also published an interesting interview with Ms. Diffenbaugh as well as created some gorgeous flower-themed e-cards and a Pinterest page. Thanks to the fine folks at Random House, I have two copies of THE LANGUAGE OF FLOWERS to share with two lucky readers. To enter, just fill out the form below before May 2nd at 11:59 p.m. ET. I will randomly select and notify the winners the following day. This contest is open to those of you with U.S. addresses only. Good luck! Great giveaway! I just heard about this book again on Books on the Nightstand. I hope I win! I absolutely loved this book. I am anxious to see what the movie portrayal will be like. Sounds like an interesting read. Just entered the contest. Hope I win. Thanks. Thank you for entering me in the contest. I've heard only good words about this novel. I love flowers. Having flowers keeps me happy through the hot days of summer. I didn't know about that flowers had a language. It's not hard for me to swallow. Flowers are so beautiful. 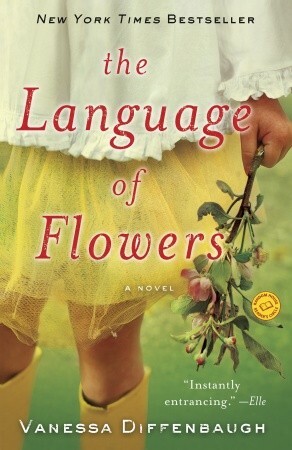 Can't wait to read THE LANGUAGE oF FLOWERS. Whoever wins this is in for a treat! All the reviews have been so good and I really want to read this one! Received my copy from the publisher today. Thanks for the giveaway. Can't wait to dive in.